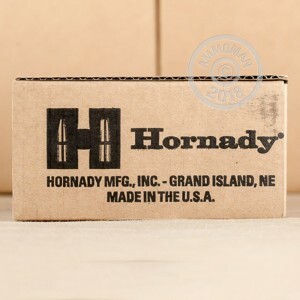 If you want a dependable self-defense load for your 9mm pistol, you can't go wrong with Hornady ammunition. 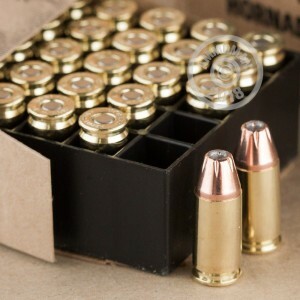 These cartridges use a medium weight 124 grain version the tried and true XTP jacketed hollow point bullet, which provides excellent penetration for rapid incapacitation of an assailant. These cartridges use non-corrosive Boxer primers and brass cases and come in 25 round boxes. This is a standard pressure load that produces a muzzle velocity of a little over 1,100 feet per second and works well in 9mm subcompacts such as the XDs, P938, and Glock 26. 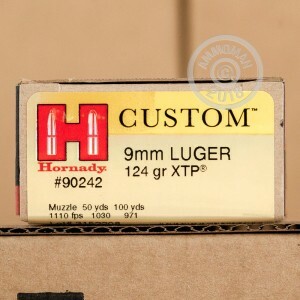 If you want to load up on premium hollow points, AmmoMan.com is the place to do it. With free shipping for all orders over $99, we help you keep your costs down and your skills sharp!